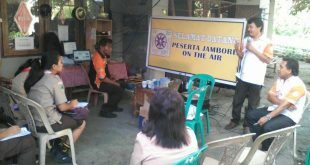 Hereby below i attached a file with Power Point Presentation for showing and giving lesson about DXing in Amateur Radio for Newbie on JOTA (in Bahasa Indonesia). 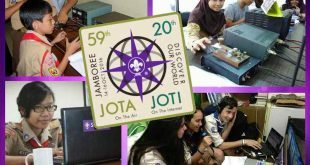 Indeed, it is only a half way to teach the Scouts how to operate and doing some QSO during Jamboree. The rest is yours and do not worry, they need only practice while learn about others. 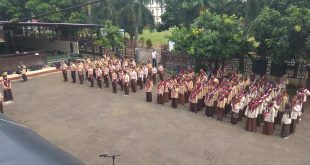 Amateur Radio is just one of multi-dimension life that the Young Scouts passing through, yet they will have some unique skills later on. If you need a file in English please do not hesitate to contact me: yc0ost@ybdxc.net or yc0ost@gmail.com. But please to be noticed, the content of my presentation is mostly for the beginner of DXing or we called it as ‘newbie’. Thanks a lot and CU on the Bands!